What’s better than the thousands of items in our catalogs? Finding just one that’s perfect for you. The first step is to think about what factors are most important for this order. What style(s) of garments do you need? For example: t-shirts, hoodies, tote bags, etc. What color(s) would you like? What fabric do you prefer? Common fabrics include 100% cotton, 100% polyester, cotton-poly blend, and triblend. Are you interested in paying more for premium products? Some brands cost more than others. Similarly, features such as Made in USA or Organic Cotton fabric will increase the cost. What’s important to your project? And does your budget allow for these premium products? Having a sense of top priorities combined with budget will allow for easier decision-making when finalizing the quote. What size range are you interested in? Knowing this information will help narrow down the choices. How many of each size do you want? These numbers do not need to final at the onset but quantity affects price so having a general idea will allow for a targeted process that will end up with a final quote that comes in at or under budget. What is your budget? Keeping budget in mind is prudent and allows for a streamlined process. The next step is to use the answers to the questions above to choose specific items. We’ve created a list of our recommended garments in various categories. 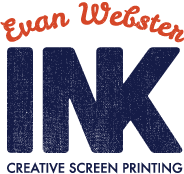 Check out our Apparel for Screen Printing Recommendations and note what styles you like. If you can’t find the item you need just let us know and we can look into additional items that will better suit what you.